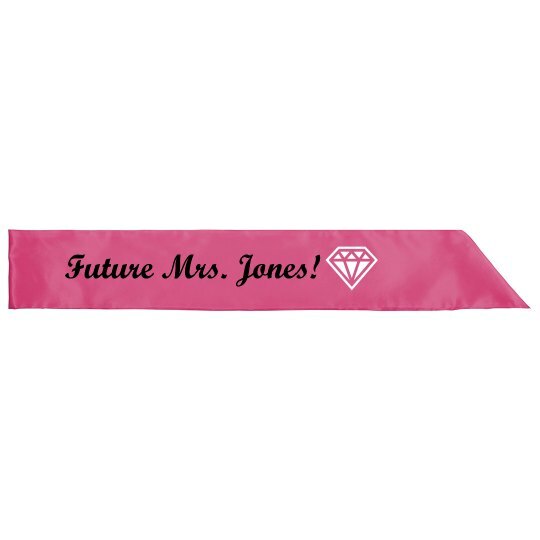 Customize a cute sash for your girl's bachelorette party. You can make it say anything you want. Custom Text: Future Mrs. Jones!